This first year after the dedication of our Memorial was spent organizing the future of the Foundation. January 28. 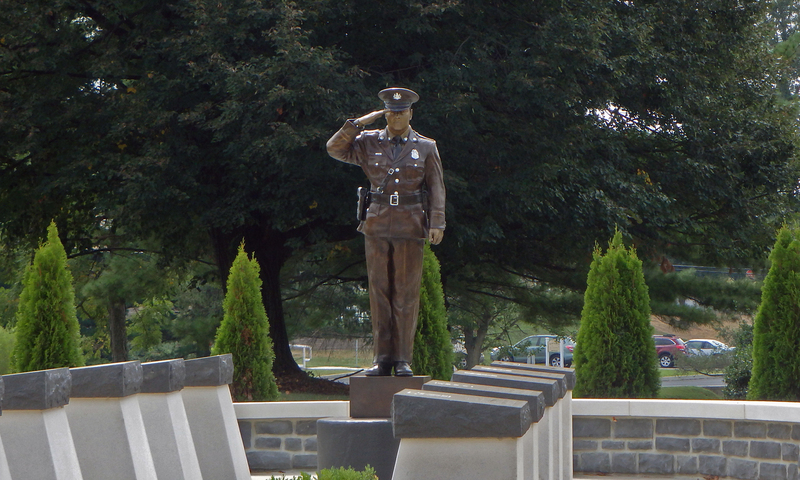 On January 9 a wreath was placed at the Memorial for National Law Enforcement Appreciation Day. Reviewed costs of insurance for the Memorial, no decision made. We voted to take over complete control of the Cumberland County Police Appreciation Dinner. Det. Troy McNair, LAPD, was appointed as Dinner Chairman. March 13. The Appreciation Dinner was set for May 8, 2015. Special guests were authorized to attend the dinner. Also, on that day a Memorial Service will be held at the Memorial for National Police Memorial Day. August 10. The Appreciation Dinner was in the black, $1800. More officers than ever attended. May 13, 2016 was set for the Annual Memorial Service. Discussed possibility of a golf tournament as a fundraiser for 2016. September 25. It was decided a golf outing would be held as our only fund raiser in 2016. This will include funds for the Police Appreciation Dinner. No letters will be sent soliciting funds for the dinner. December 11. Discussion of future improvements: directional signs, plant buffer, eternal flame and blue LED lights. Golf outing planning is in full swing. May 27, 2016 is the date set. Promotional flyers for the golf and Memorial in general, are being done by Messiah College. Made a donation to PA OBC. We believe 2016 will be another great year for the Foundation. The golf outing will, hopefully, begin an annual tradition for us and become a fundraiser that will satisfy our needs for the future. In total the board has met 41 times for official meetings since 2011. We have a balance of just over $31,000 which we will use for the future maintenance and improvements to the Memorial and to support law enforcement. The Foundation will continue to meet on an as-needed basis to ensure maintenance and fundraising are done in the future. Sponsor bricks will continue to be sold and other donations will always be gratefully accepted.